Touchdown!!! ? Come and watch the big Sunday games at Stowe Bowl. We have the largest screens in town to watch your favorite teams, plus $4 bowling including shoes, $4 draft beers, and $4 wings. ??? Wear your jersey and get a free game bowling card for future use! 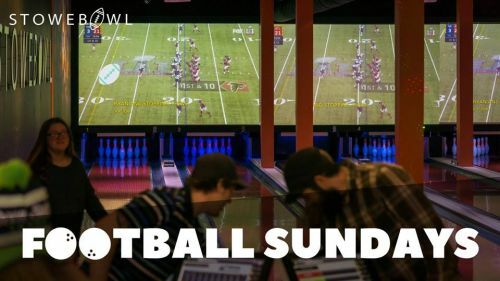 There's no better combination than football, beer, wings and bowling...All right here at Stowe Bowl!